In this age of selfies and social media, you might imagine that photo booths would fade in popularity. After all, taking a photo with your smartphone camera is often much easier, and the results are ready to be shared as soon as the picture is taken. Despite this, photo booths are still popular—and here are a few reasons why. When you see a picture online, it’s likely been filtered, edited, and cropped to show only what the user who posted it wants you to see. A strip of real and unfiltered snapshots are a nice change of pace—what you see is what you get. It provides an accurate reminder of the happy memories of the day. Unlike phone cameras, photo booths are less of a tool and more of a game. You need to time your shots, and many events like wedding receptions set challenges or objectives for your photos. This approach makes the experience a lot of fun. For many people in today’s world, old is new and the trappings of the past are the next big thing. Is it any surprise that old-fashioned styling and iconic photo strips attract a similar crowd? If the booth itself isn’t enough, you can supply unique props and backdrops of your choosing. This type of customization helps the modern photo booth to fit in at a wide range of events and settings. When it comes down to it, there’s just something about crowding into a photo booth with your friends that builds camaraderie. That experience of closeness is reinforced every time you look at the photos you took. No matter how technology evolves, photo booths continue to keep a foothold as a fun, popular activity. 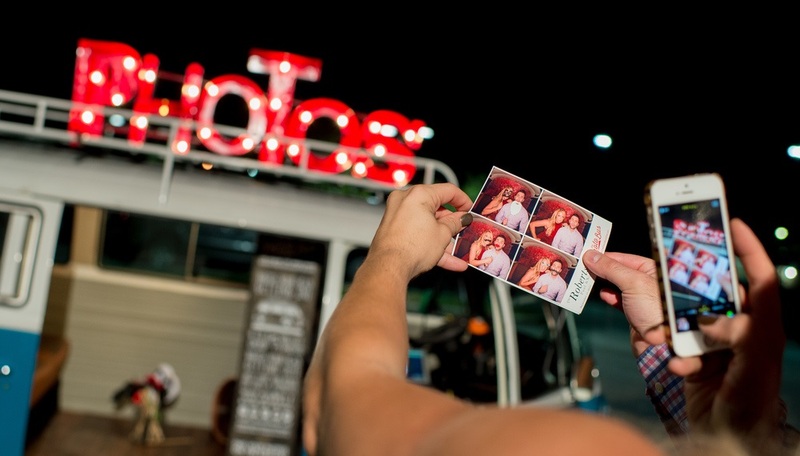 The Photo Bus DFW in Dallas, TX, is a mobile photo booth which serves a 30-mile radius around the Dallas and Irving area. Their vintage VW bus and high-quality camera equipment create a unique experience with a character all its own. To schedule a visit from The Photo Bus DFW, contact them at (214) 702-4141 or online.